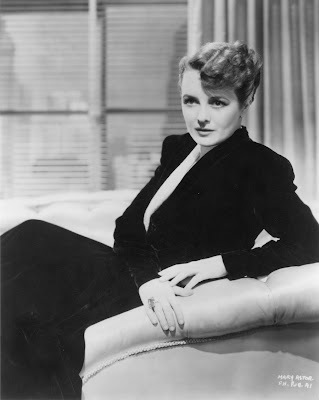 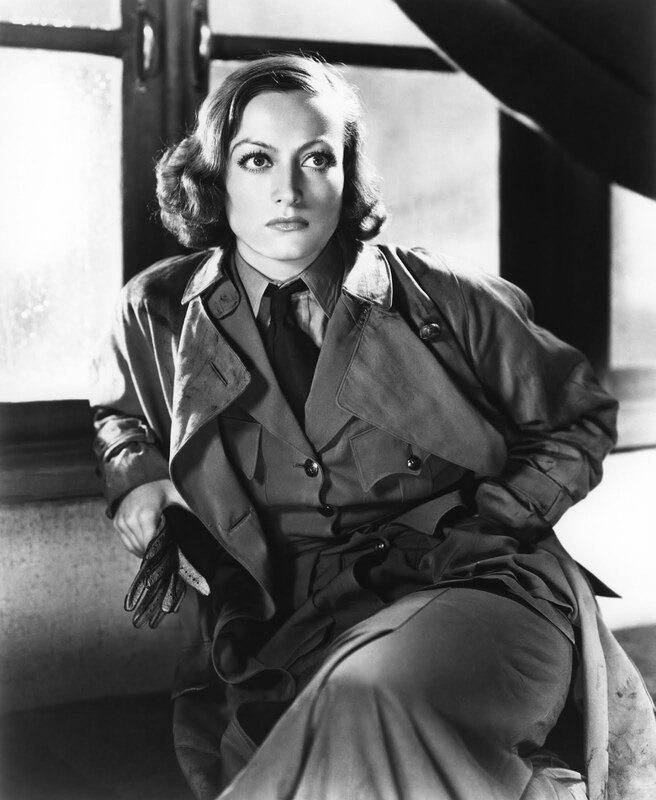 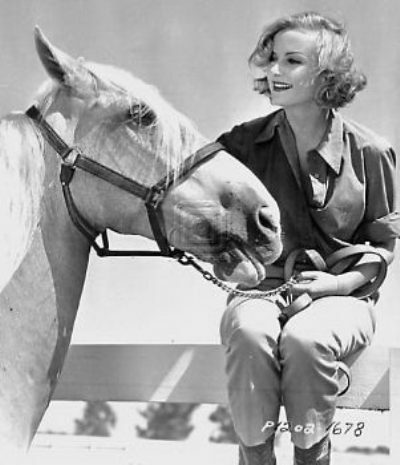 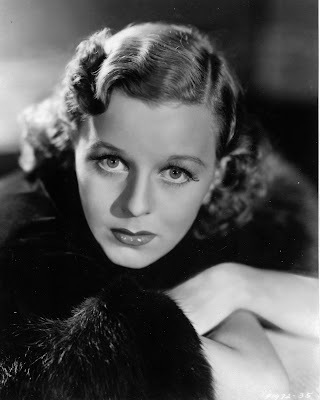 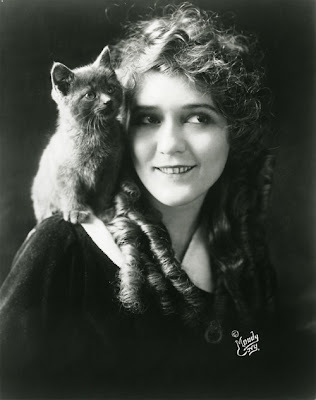 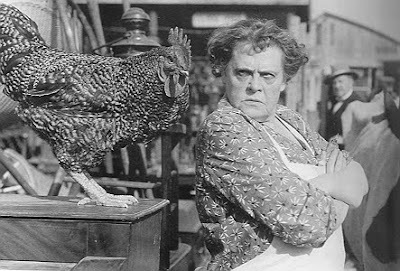 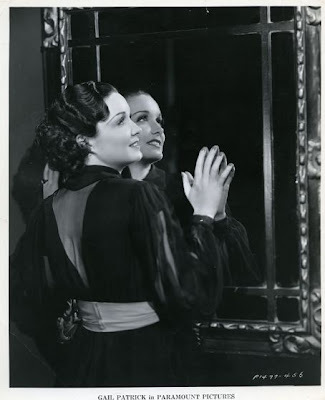 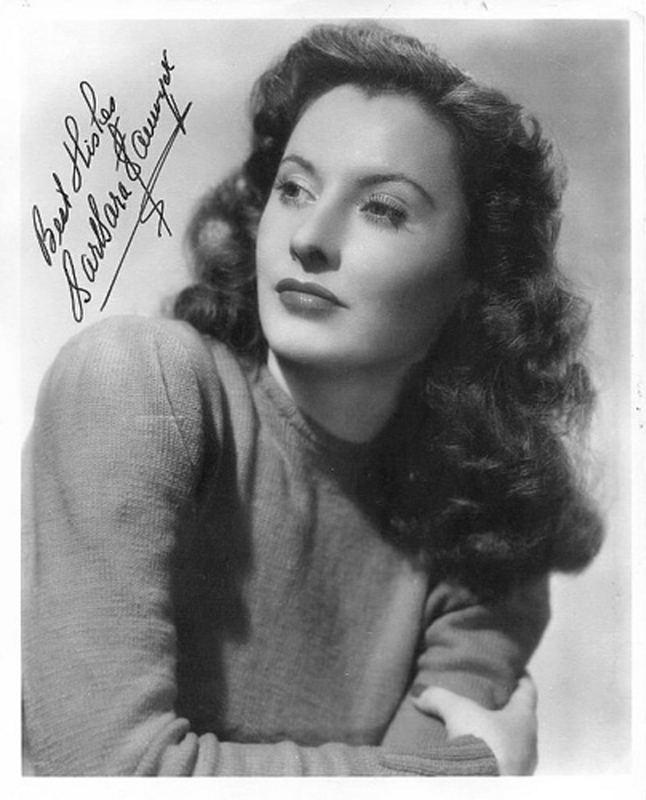 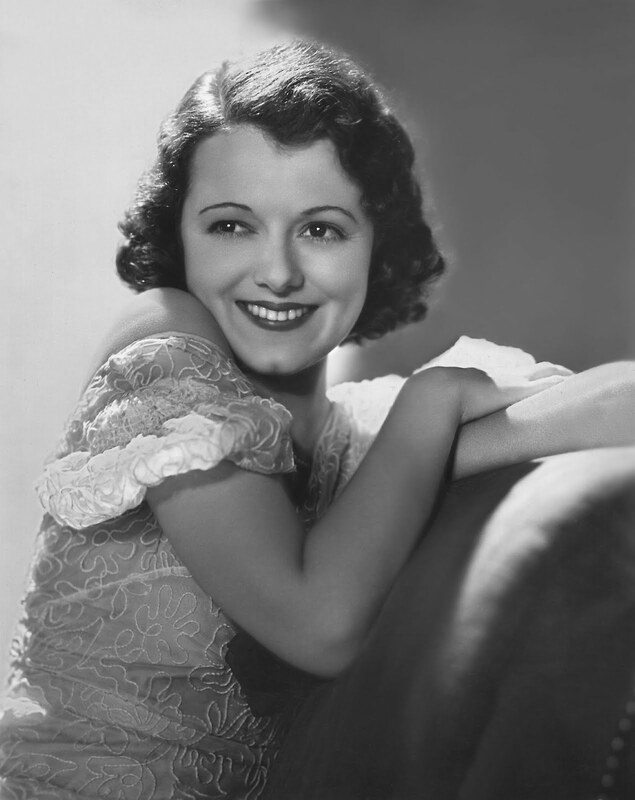 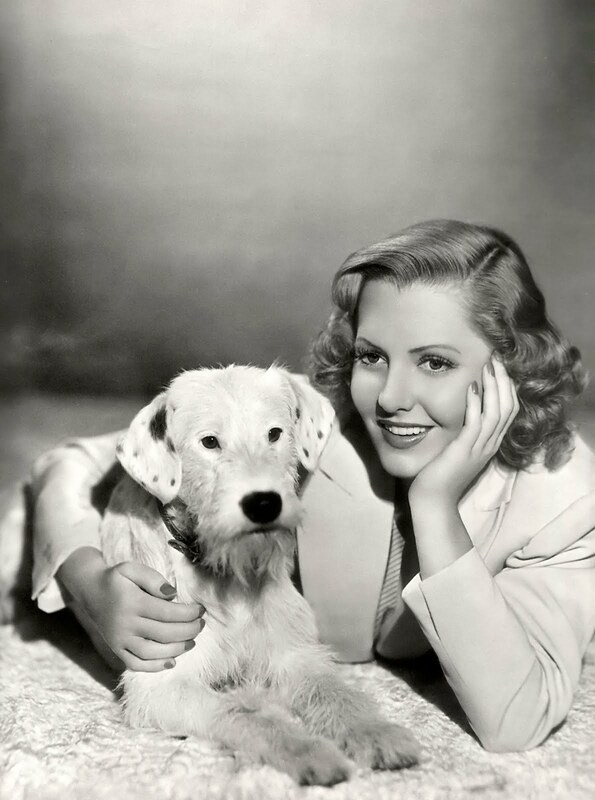 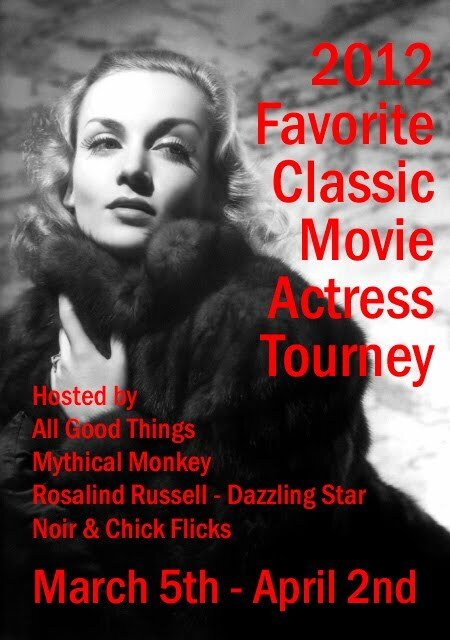 A look ahead at the Monty's March Madness Favorite Actress Tournament, part of which we'll be hosting here at the Monkey. If you don't use every single one of these, it's all over between us. 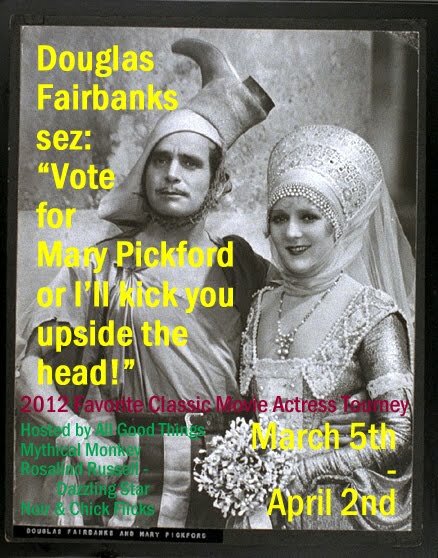 Katie-Bar-The-Door and I met Mister Muleboy and Michele at the AFI Silver Saturday afternoon to see Douglas Fairbanks in The Black Pirate. 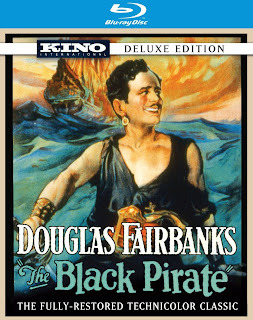 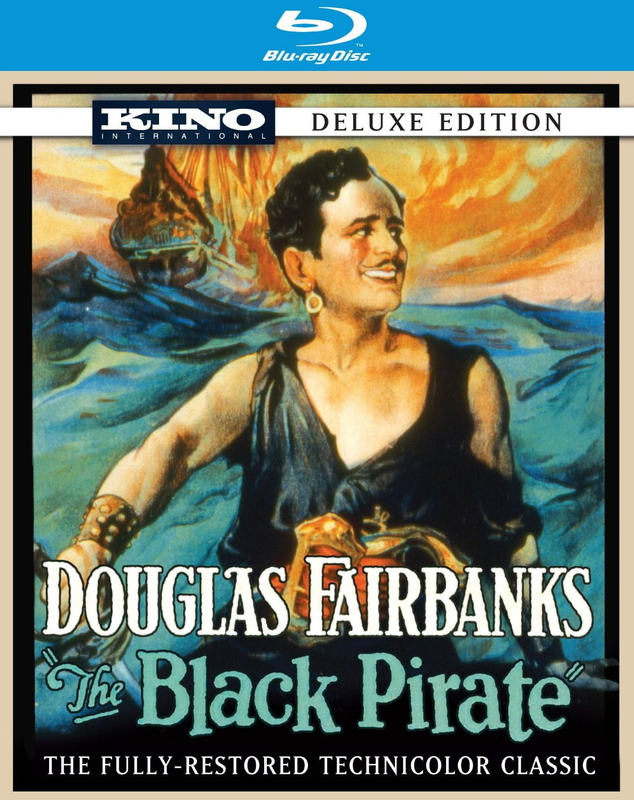 For those of you who loved The Artist, which won the Oscar as best picture of the year last night, The Black Pirate is a must-see—Jean Dujardin's George Valentin is very clearly modeled on the swashbuckling Fairbanks. 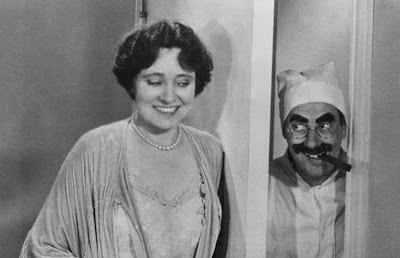 They even have the same moustache! I fiddled around with different font sizes and taglines—hopefully one will work for you! 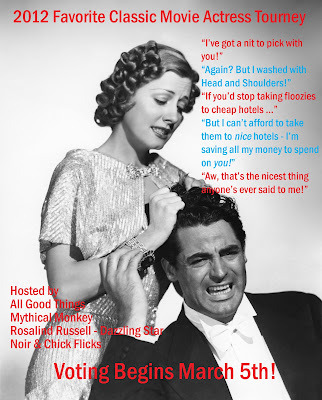 Collect 'em all, trade 'em with your friends! 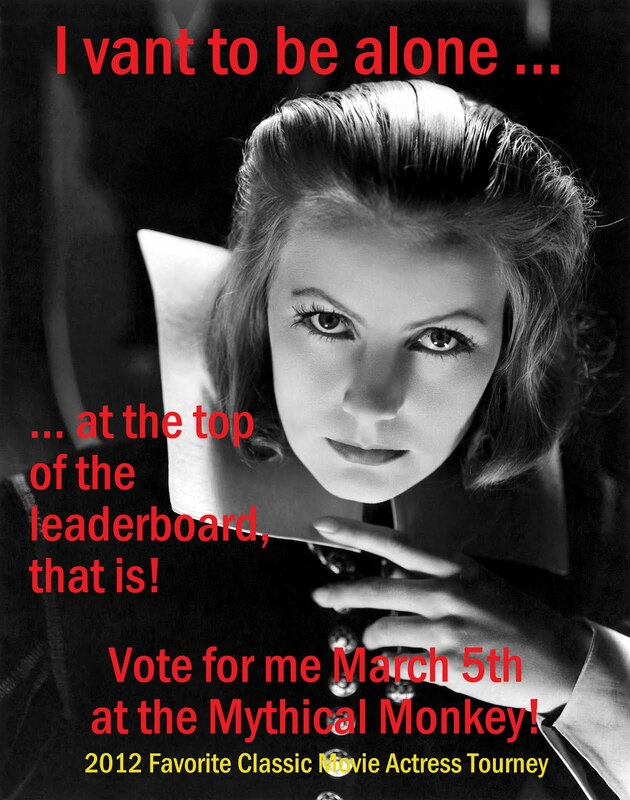 No mas, Monkey, no mas! 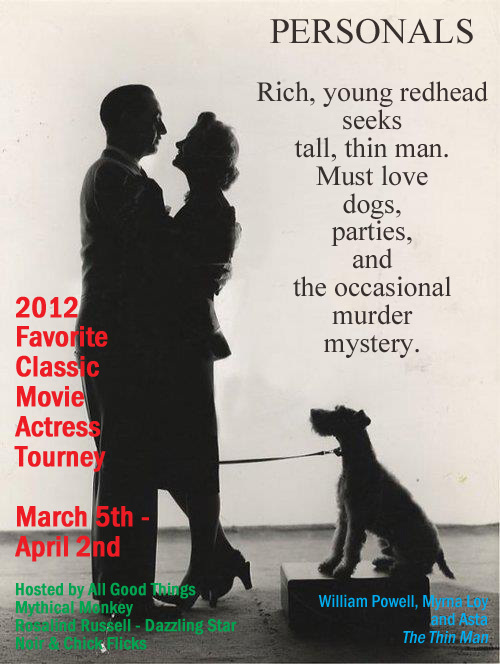 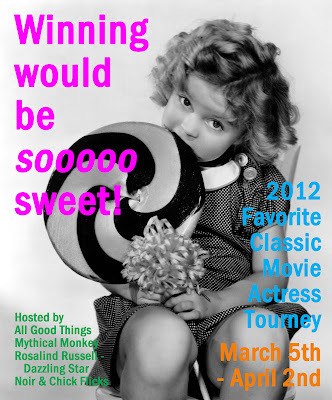 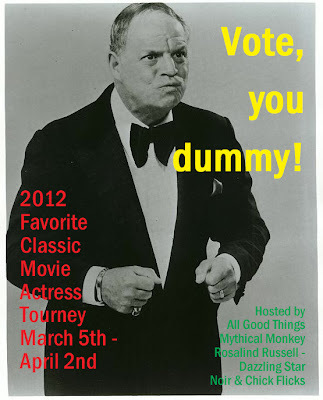 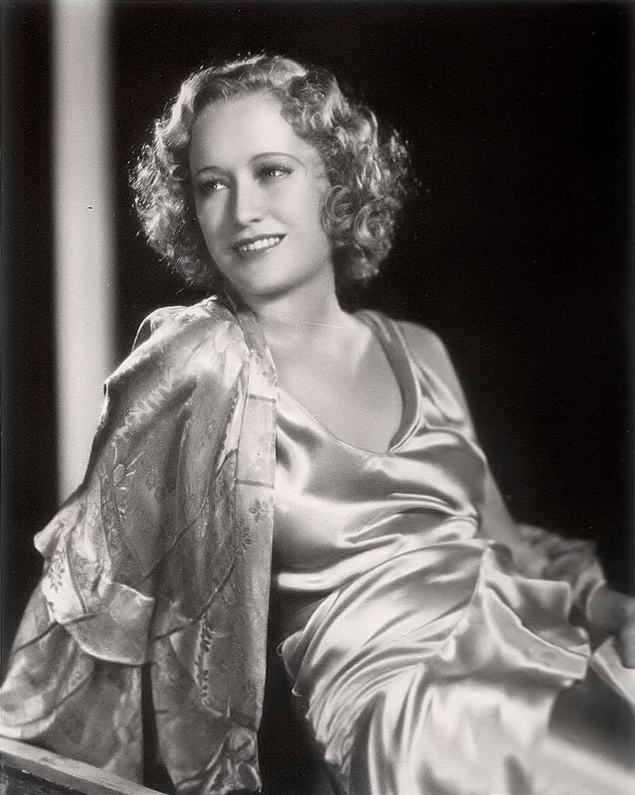 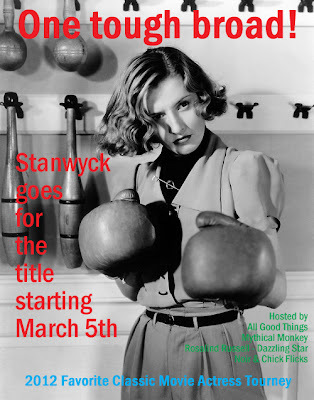 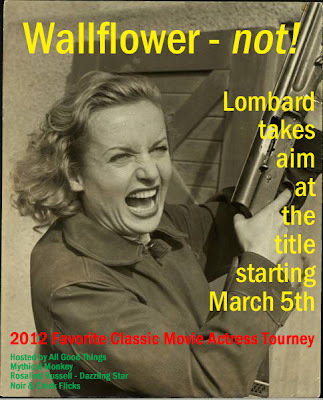 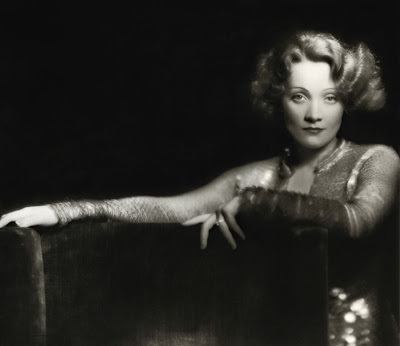 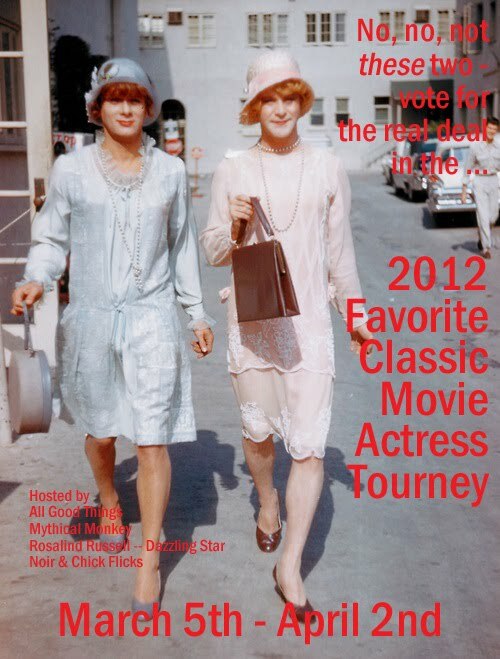 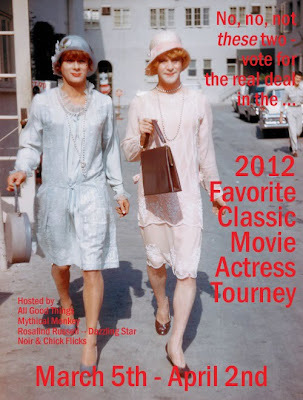 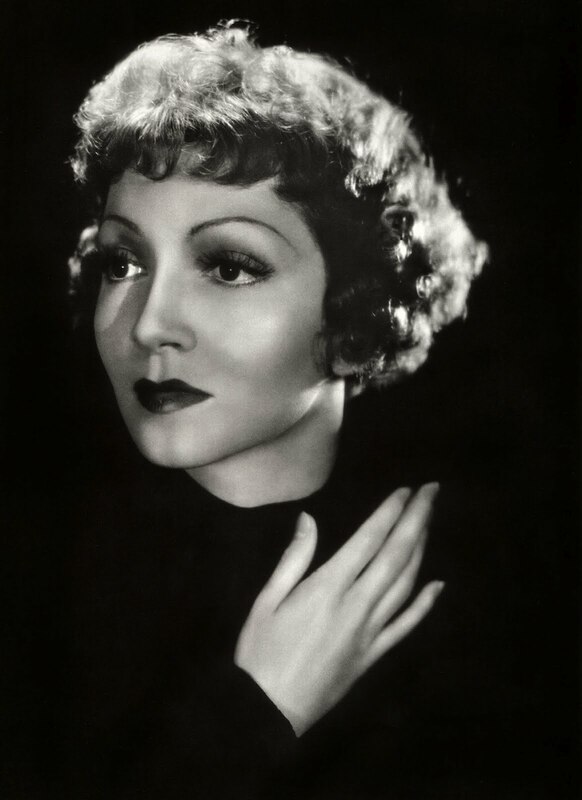 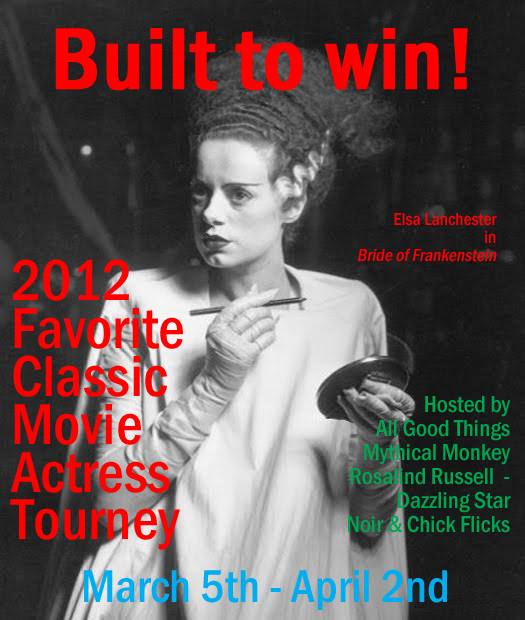 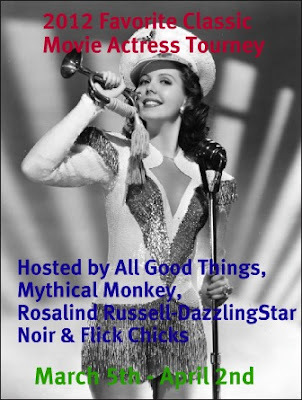 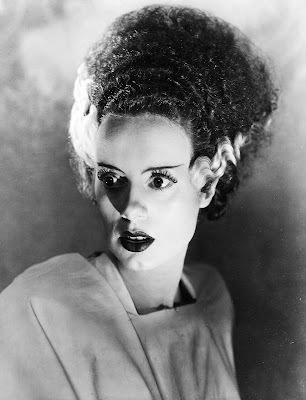 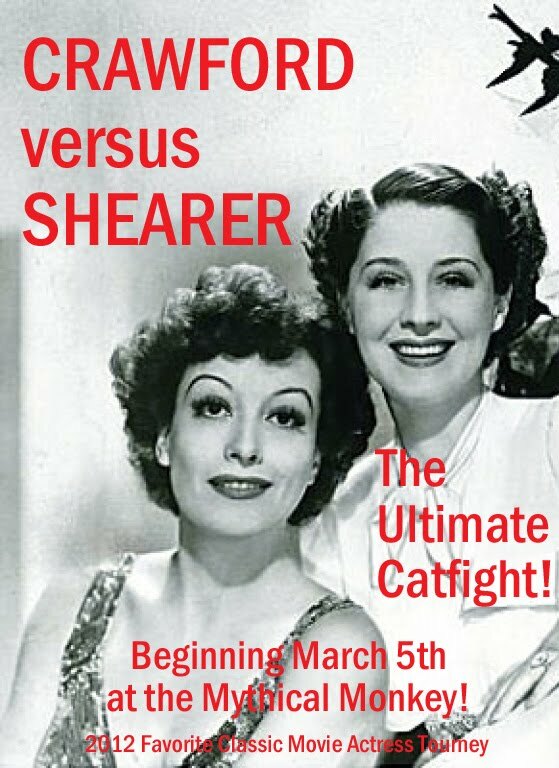 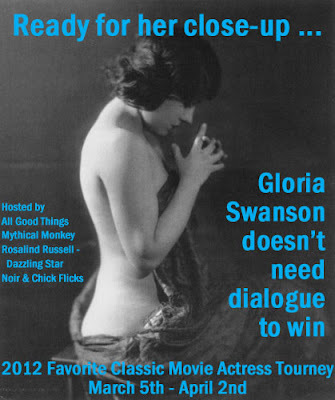 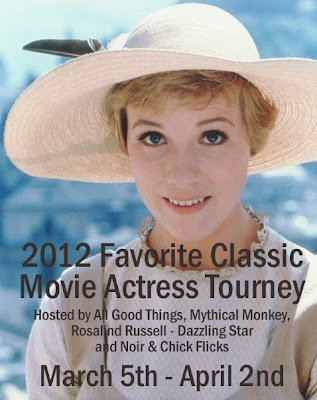 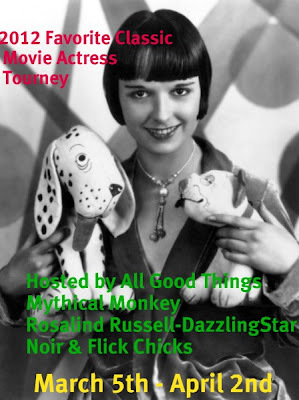 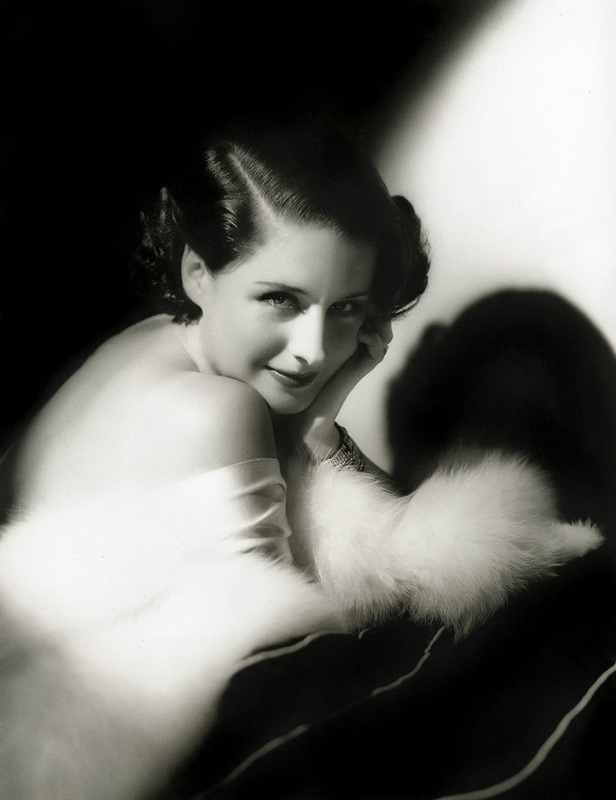 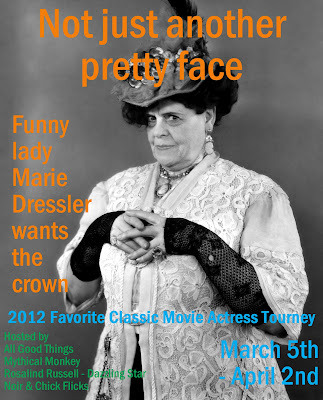 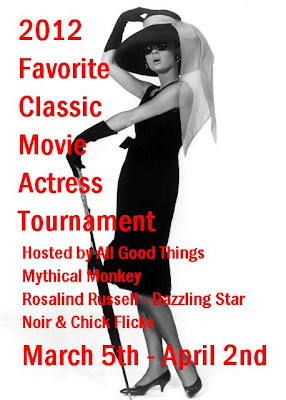 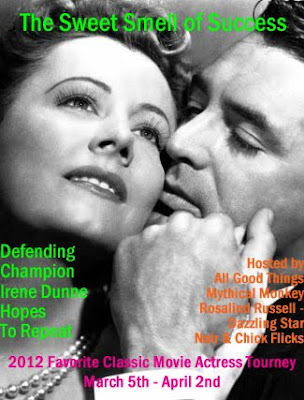 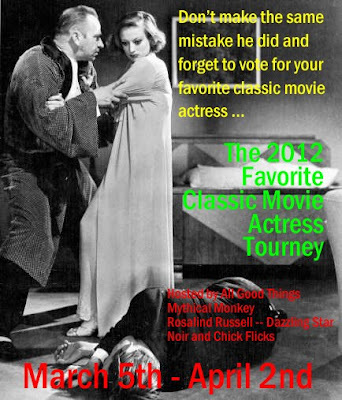 Monty of All Good Things has created some banners to promote his March Madness Favorite Classic Movie Actress Tournament. 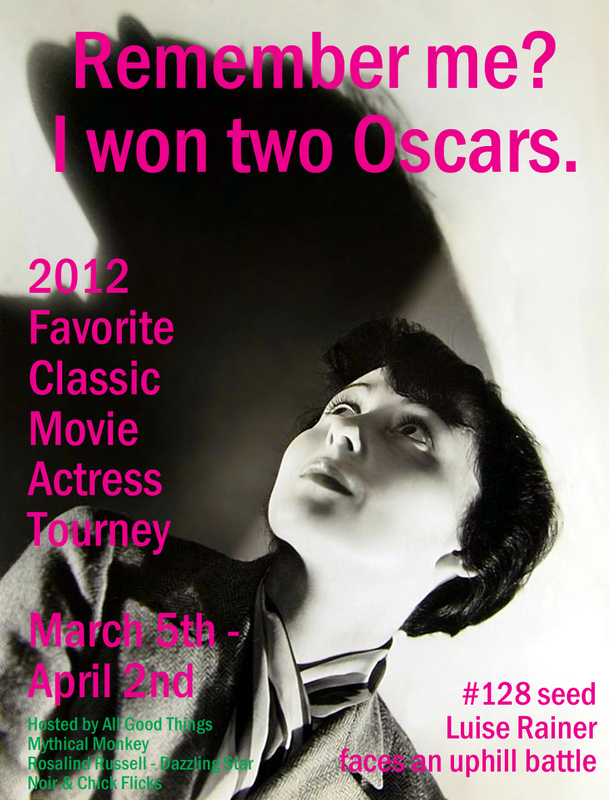 I liked those so much, I created some (unofficial) ones of my own. 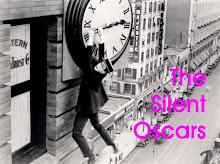 Run none, run one, run them all on your blog—but whatever you do, vote, starting March 5th.